Jake, Nice catch and detail. 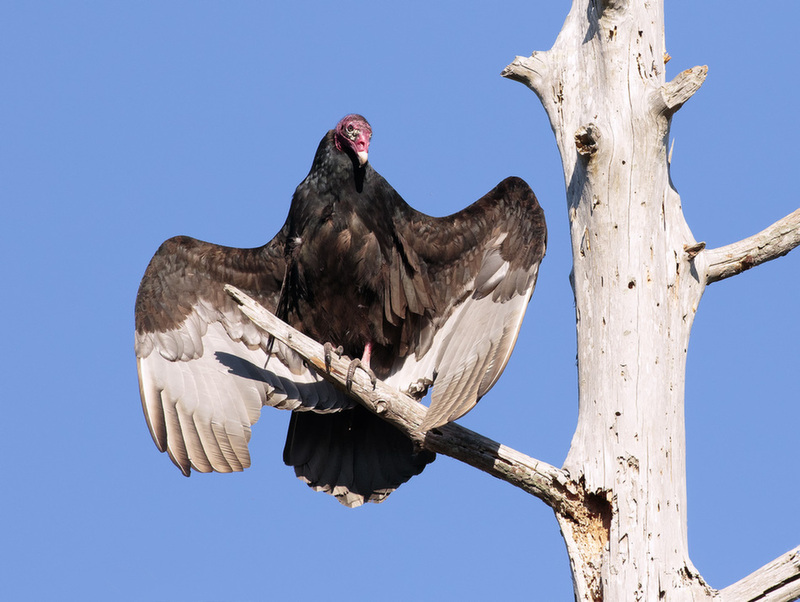 When you see Turkey Vultures with their wings spread out, they're actually using the rays of the Sun to help rid themselves of mites. Thanks Gene - did not know that. Nice pose allowing light on the underside of the wings, Jake. I like the asymmetrical placement of the perch. Nicely composed and exposed with good detail in both the darks and lights. The bird looking down helps with the angle. A fine behaviour capture, Jake!